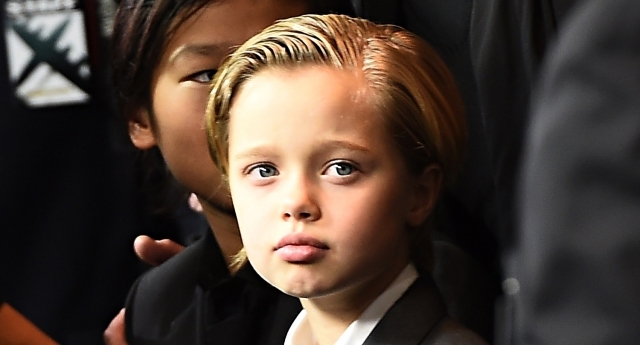 The Jolie-Pitt family have announced their support for their eight-year-old to self-identify as male. John Jolie Pitt, who was assigned female at birth, asked to be called by that name, and attracted widespread attention when they appeared on the red carpet for Angelina’s film ‘Unbroken’, wearing a tuxedo and with cropped hair. The family have for several years shown full support for John’s right to explore their self-identification. The family have been praised for their handling of the situation, and have been held up as a good example of how to handle a child’s exploration of their gender identity. Some have pointed out that allowing John to explore their gender-identity without dismissing it as a “phase” or assuming immmediately that they are trans, is a good example of parenting.